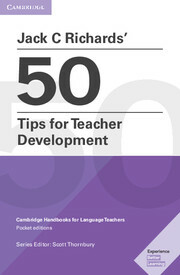 This book offers 50 practical ideas for teachers to use for professional development. The tips cover a wide range of activities that can be carried out individually or in collaboration with others, including self and peer observation, journal writing, on-line forums, classroom research, action research, team teaching, lesson review, materials review, lesson study, mentoring, peer coaching, reading groups, and workshops. Each tip is described in a 2 two-page format that gives the rational for the activity and step-by-step procedures for implementing it. The Tips can be used with both novice and more experienced teachers and are intended to provide a basis for teachers to review the current state of their professional learning and to develop and implement goals for their professional development. 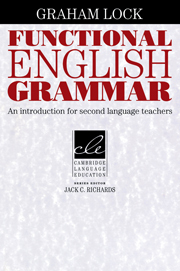 This text explores ways in which English grammar enables speakers and writers to represent the world, to interact with one another, and to create coherent messages.